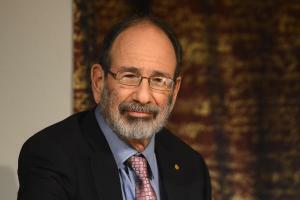 Die Welt "Staaten sollten Gebote für Flüchtlinge abgeben"
From because of cooler economist - Alvin Roth has indeed studied hard subjects with mathematics and computer science. But he loves not only the numbers, but also the people. It shows the same. He greeted with a winning smile, leaving a to an exciting conversation about refugees and donor kidneys, financial markets and future presidents. The World: Some economists want to apply to the distribution of refugees in Europe your design markets. Is this a good idea? Alvin Roth: Essentially, yes. The distribution of refugees is a so-called matching market - on the right pairing it depends, in this case of people and place. The people themselves have preferences where they want to live. At the same time they should be able to be easily integrated into the economy. For that we should allow an orderly exchange of information. According Dublin procedure an applicant must his application but ask in the country where he first arrived. This does not add up. Hi, Prof. How is your Matching Theory going on ? I did think so too, Your design market theory has enormous possibilities with not only emigrant crisis but also zero wast lifestyle ( or food shortage if you like). I am an empirical social & sports scientist who has been working on ( and asking cooperations but I have not got satisfactory reply yet. Can I find the mutual partnership if I did fully understanding of concept of Matching theory? Anyway,) data research and strategic project planning for quality of lifestyle for (esp. professional athletes, artists, and social entrepreneurship). I would like to talk with you in person. I am currently living in Japan and I am looking for opportunity to proclaim my beautiful projects ( We can discuss later) by public release with spacial people for some global issues (including with economic & emigrant Crisis). Are you interest? And I am so sorry for your lost. (Mr. Lloyd Shapley) Rest in peace.